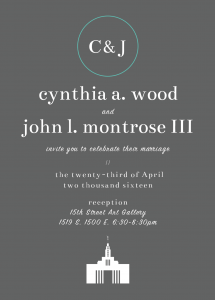 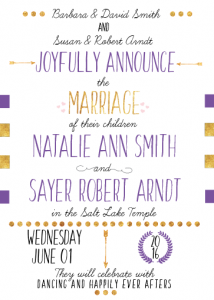 Wondering where to print stunning wedding invitations for your upcoming nuptials? 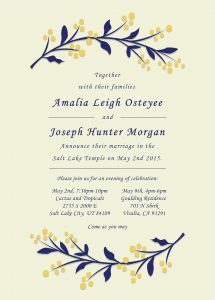 Announce your union in style with help from The Invitation Maker. 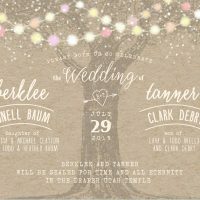 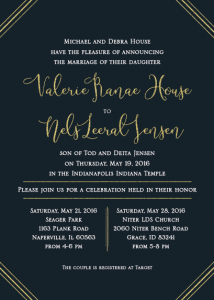 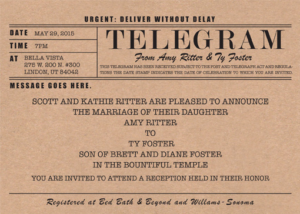 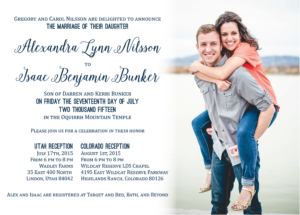 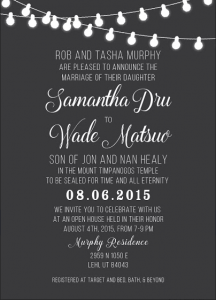 Wedding invitation printing can be time-consuming and expensive, but it doesn’t have to be. 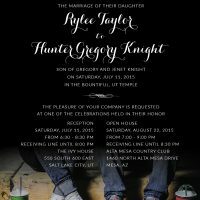 Working with an online printer can be cheaper, faster, and less time intensive for you than going the traditional route. 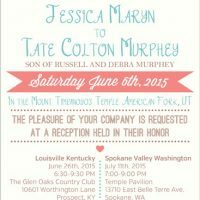 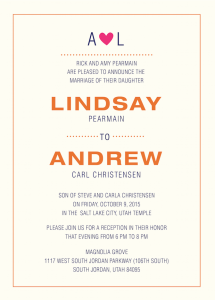 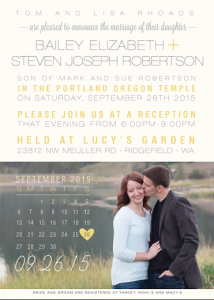 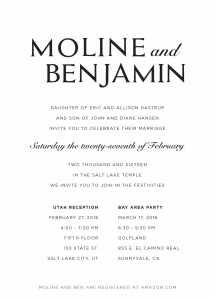 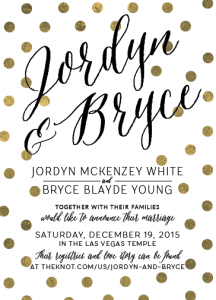 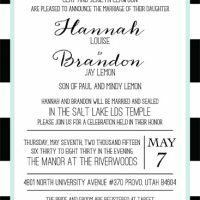 The Invitation Maker works with you via email and phone to get your wedding invitation style dialed in. 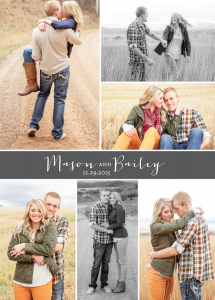 We can match styles you’ve seen elsewhere online. 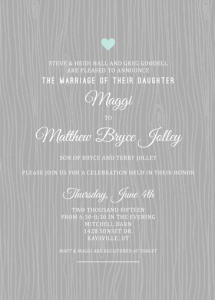 Show us your favorites from Instagram, Pinterest, The Knot, etc. 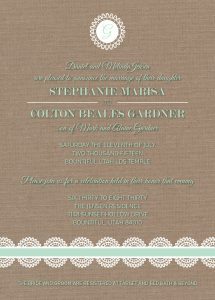 and we can help you match the styles you like, along with your own unique tastes added in. 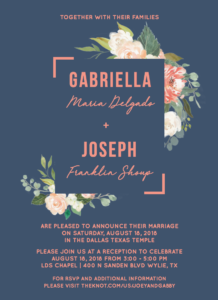 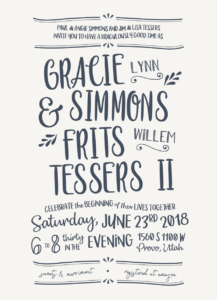 Our designers are experienced, friendly, and prompt when working with you to get your invitations designed, and ready to print as quickly as possible. 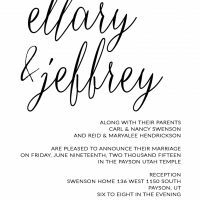 Invitation printing services include everything from printing wedding invites, save the dates, RSVP cards, thank you cards, to other inserts. 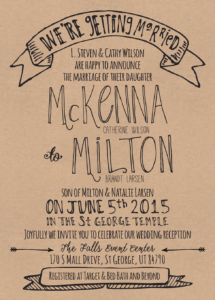 The Invitation Maker can even print the To and/or the From address on your envelopes to save time! 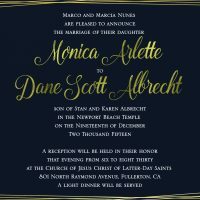 Traditional printers will require one or more in-person meetings with you to get your invites designed and ready to print. 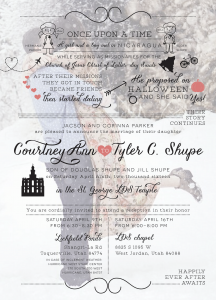 This can be time-consuming and frustrating when you are trying to plan a hundred other details for your wedding. 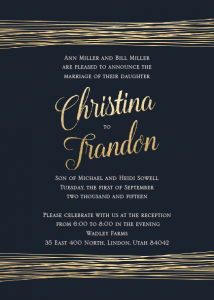 Get it all done online without any in-person meetings required, all while saving money, and getting a better quality invitation in the end when you work with The Invitation Maker! 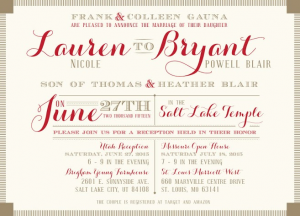 How much better are our standard invitations than the invitations you’d get elsewhere? 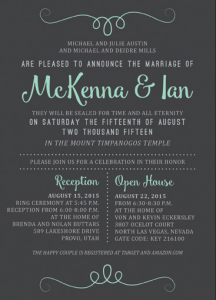 Well, our default paper is 130 lb. 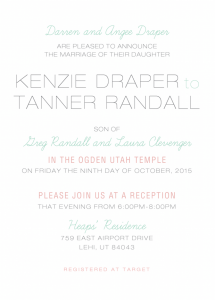 heavy, matte card stock. 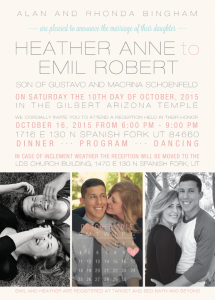 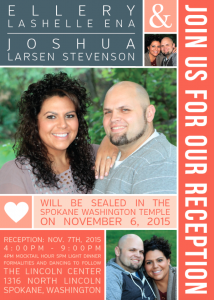 Double sided photo printing in full color or black and white is also included with our standard invitations. 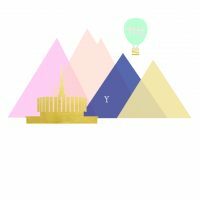 If you are still in doubt about our quality, request a free sample kit mailed to you so you can see and feel the difference for yourself.